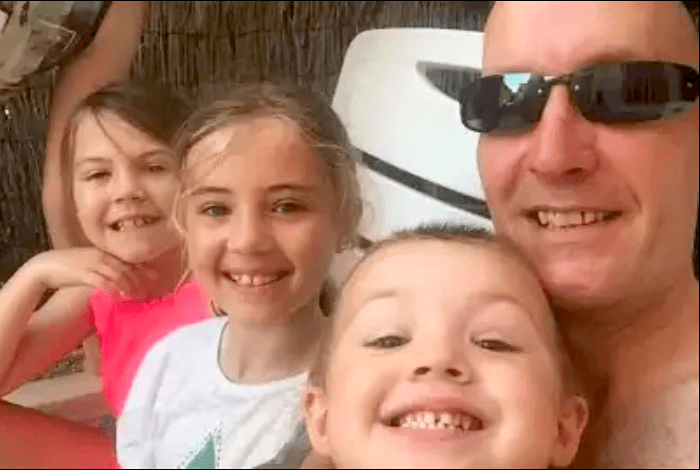 This is an urgent appeal for stem cell donors, for a Dad who was diagnosed in July 2018 with a high-risk form of MDS, Myelodysplastic Syndromes, a rare form of blood cancer, that can progress to leukaemia. End of 2018, he was given intensive chemotherapy to try and reduce the severity of the disease, with a view to do a bone marrow transplant as soon as possible. This treatment worked to some extent, but sadly, right at the beginning of 2019, the disease flared up again. He is now looking at another cycle of chemotherapy - but of a different kind, in the hope to get him into remission, and then go through with the stem cell transplant. If there was a matched donor available, this would be a fairly straight-forward sequence of events. But currently, there is no perfect match for Damian. Often, a sibling can be a good match. Or an unrelated matched donor can be found. Sometimes stem cells from cord blood is an option. This is when the stem cells contained in the umbilical cord of a new born baby are used. Two umbilical cords are necessary to provide enough stem cells for 1 adult patient. For Damian, the cord blood transplant is being considered, but staff only have 1 lot of umbilical stem cells. Another lot of umbilical cord stem cells are needed to go ahead with the transplant. And this is where pregnant ladies and the general public can help! There are 5 hospitals in the UK that have the facilities to collect and process the donated umbilical cord blood and stem cells. We ask all readers to share this post and information with any pregnant ladies you may know – especially in the geographical areas listed above. If a 2nd lot of these stem cells proves to be a match for Damian Butcher, the transplant can go ahead. The option 2: a transplant with cells donated by his brother – who is a half-match. This is called a Haplo transplant. Possible – but not the preferred option so far. You can read more on Damian on the Anthony Nolan site and the DKMS site. Registration is extremely easy. Nowadays the donation part is almost pain-free and not much worse than a blood donation. Get informed, speak to staff, consider it very seriously. Your actions could save Damian's life. You Can Become a Donor! How to Join the Register? All it takes is a bit of spit or a swab! Your stem cells could end up saving the lives of someone facing a desperate situation anywhere in the world. If you are called to donate, there are two simple and easy ways to give stem cells. One method takes just 3 - 4 hours and is not dissimilar to giving blood. If a patient needs a bone marrow transplant then the consultant will be checking the worldwide registers for a suitable match. However, it's important to encourage family and friends to join! Your animated guide to becoming a bone marrow donor. Find out everything you ever wanted to know about donation, from joining the register to what happens if you are a match. What are stem cells? How can they be used for medical benefit? Missed the Harrogate MDS Patients & Family Forum? Catch Up Online! A New Edition of the MDS Patient Handbook is out!